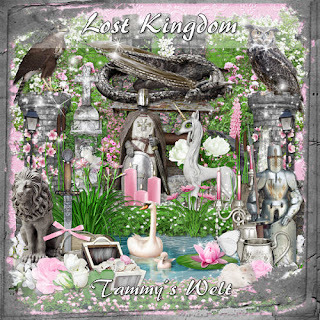 Lost Kingdom is an absolutely gorgeous scrap kit filled with all you need for that Medieval themed tag. 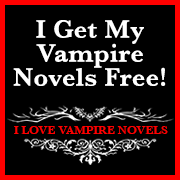 Add just the right tube or poser and you will have a romantic flare of times gone by. Kit contains 90 Elements and 8 Papers. PTU, For Personal Use Only. Violin Soul is a beautiful poser tube by Geris. 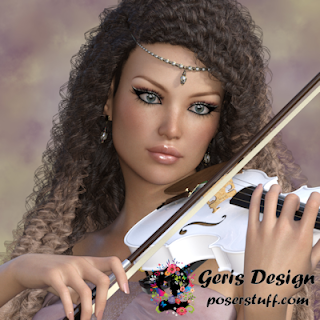 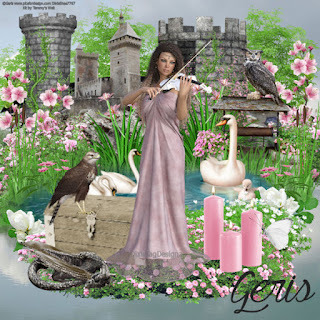 She has gorgeous long flowing hair topped with jewelry and free flowing dress while playing her violin. 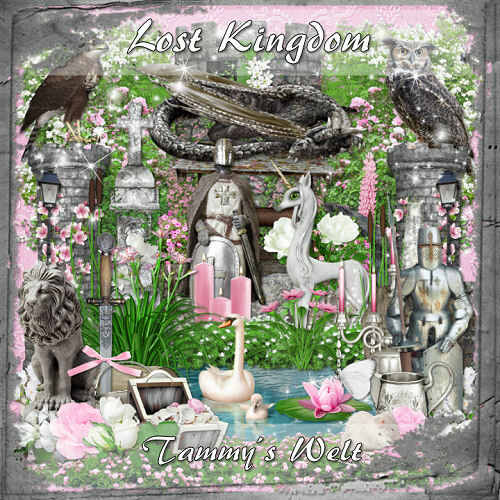 She fit right into Lost Kingdom scrap kit as if she belongs there. 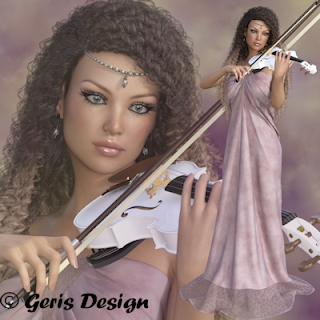 Violin Soul can grace any design you have in mind.